I've renounced most of Graham Parker's work post 1983's "The Real Macaw" and I know why, however unreasonable it may be. It was something he said in an interview about never writing a bad song that managed to push the wrong button. I can't even begin to explain the context, where I read it (I think Musician magazine), or just why it affected me as strongly as it did. It was so many years ago, I'm starting to doubt he even said it. But it was that statement that kickstarted my moratorium on Parker. I am a fan. I have been since day one. But thanks to my occasional irrationality, I let 1995's "12 Haunted Episodes," not to mention a whole lot more, sit ignored in some sort of twisted sins of the father type scenario. 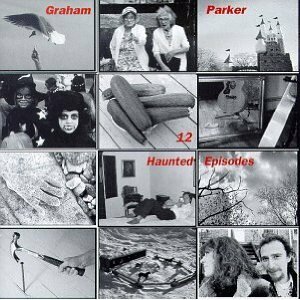 As far as "12 Haunted Episodes" goes, it's hard to find a better record released during the woeful nineties, and yet, I let my own personal haunted episode deny me the pleasure of some of Parker's finest work. And Graham, if you did indeed say you have never written a bad song, I'd believe it if all I ever heard was "See Yourself." Suddenly, there are another dozen great Graham Parker records for me to listen to. Re: dropping an artist because of a statement in an interview, for years my brother, while on one level recognizing the greatness of R.E.M., has also tended to dislike the band (we're talking even back in the good Bill Berry days) because Stipe said something in an interview about the Beatles meaning nothing to him (maybe even calling them old people's music or elevator music). There ARE some great CD's in the post MacCaw releases. In some cases the music gets a little too non-remarkable, but the words always come through. And for unforgettably obnoxious interview comments I recall Rolling Stone's Greatest Guitarists issue where they asked many of the greatest who their influences were. Joni Mitchell said something to the effect of "I have no influences. I am a total original." I was always befuddle over your non-fandom of Mr. Parker. He seemed like the ideal Burning Woodman. I guess it was just a matter of timing. I recommend Struck By Lightning from his RCA period. Back in Time off Mona Lisa's Sister could be his greatest lyric. The live version from Alone In America is superior to the studio version. I could go on, but I won't. What -- no love for the new album? Wow, turned off from '83 onwards? I can see how mebbe it's hard to get excited about "Songs of No Consequence" from '05, but a cutoff line of '83 is purty harsh. 'Specially since some of his best LPs came after that time, including Steady Nerves from '85 (love the song "Break Them Down"), Mona Lisa's Sister, Struck By Lightning. And there's a live acoustic song he did in 1994 on an album called "In Their Own Words" - a version of Bob Marley's "No Woman No Cry" that is actually one of my favorite live songs ever. And especially The Last Rock and Roll Tour from 1997 (with the Figgs) I listened to that album 1,000 times in the late '90s, definitely track that one down. All that being said, as for the new album.... I really wasn't wanting so many mid-tempo tunes. C'mon, Graham, not EVERYBODY has to age gracefully like Nick Lowe!!! Times. "Charmer" won we back. Never liked Parker though. Don't know why. He should be in my sweet spot--I like the idea of him--but never really clicked for me. Not even Squeezing Out Sparks. While I wouldn't say your were right in youre previous assessment, his post Squeezing Out Sparks work just isn't on that level he had going up to and including that album (which is still one of my favorite albums). Which isn't to say it's bad ... he just seemed to back down from that higher plane, as most artists do after a solid 3-4 album run. Of course, I have a few friends who are Parker fanatics, but I find all of his stuff since then hit or miss on any given album. His lyrics are always excellent. He's a damn good writer, too -- whether it's his books or website. He's a smart, funny, hard-edged guy with no illusions about himself or his place in the world. I have much like for the new album, not love. @Walk In The Woods--I wasn't turmed off by the music. I was turned off by the interview, so I didn't pay attention to the music. I've been a GP fan for a long time. I'd agree that the '83 cutoff seems early. 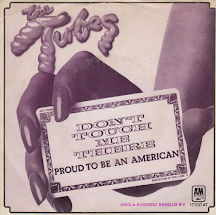 Live Alone in America's a pretty great record and some of the subsequent ones, while not consistently terrific have a lot of good stuff on them. 12 Haunted Episodes has always been a favorite of Parker's. He's mentioned that in interviews. I'd also agree about Three Chords Good. It sounds like a lot of his more recent stuff, but with a better band. Would have loved it if it had rocked a bit more. I'd go see them in person in a second, though. I too missed out on years of Parker's solo work, for a similarly irrational reason (bad boyfriend took the Parker records with him when we broke up). A fateful series of events brought him back to my attention, and a glorious year of catching-up on all those missed gems ensued -- quite the pay-off. Dare I even say, it was BETTER to experience it all in one mad obsessed rush. I'm now a huge fan of Struck By Lightning, 12 Haunted Episodes, Don't Tell Columbus, Mona Lisa's Sister . . . well, I could go on and on. But, not being too wed to the early stuff, I was able to open my ears to the many moods of Graham Parker. That's harder to do if you're a devoted fan who's waited 2 years for the new album, and then it turns out to be . . . country? Me, I was like a kid in a candy shop, and it all seemed (and still seems) wonderful to me. i would say something like "i knew you'd come around eventually" but frankly knowing first hand your past disdain for the episodes, i never thought this day would transpire! better late than ever i always say :). and i always did agree with you on "Disney s America", i would always walk away after you voiced your dislike for this disk feeling smacked around lol. so oh happy days i declare as you are displaying that which makes you so unique to me. . . your ability to change your mind with the passing of time! (with my luck i will now hate it.